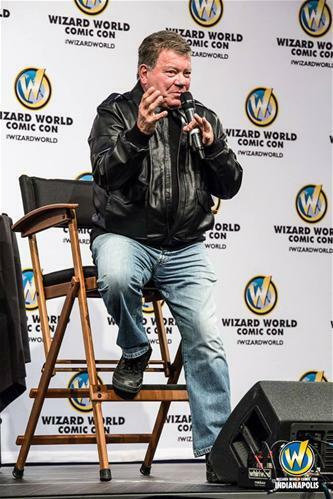 MADISON, Wis. - Nov. 27, 2018 - PRLog -- Q&A sessions with William Shatner ("Star Trek"), Dean Cain ("Lois & Clark"), Matthew Lewis (Harry Potter), stars of "Supernatural" (Ruth Connell and Lisa Berry) and "Charmed" (Holly Marie Combs, Drew Fuller and Brian Krause) plus Barry Williams ("The Brady Bunch"), Jason Ralph ("The Magicians"), Kevin Sorbo ("Hercules"), anime, video games, cosplayer and comics creator sessions, adult and kids costume contests and more highlight the programming offerings at Wizard World Madison, Friday through Sunday, at the Alliant Energy Center. Most programming is included as part of the standard event admission and is in addition to the live entertainment options (dancing, music, etc.) all weekend. • Documentary Beyond The Comic Panels Preview Screening and Artist Q&A with cinematographer Jason C. Gares and Tom Cook, Steve Geiger and Mostafa Moussa (Friday, 6-8 p.m.) -- filmed at Wizard World Madison 2017! • World-famous Wizard World Adult Costume Contest, Saturday at 7 p.m. and Kids Costume Contests on Saturday and Sunday at 2 p.m.
A full list of Wizard World Madison programming is available at http://wizardworld.com/programming-entertainment/madison (subjects, guests, times and rooms subject to change).